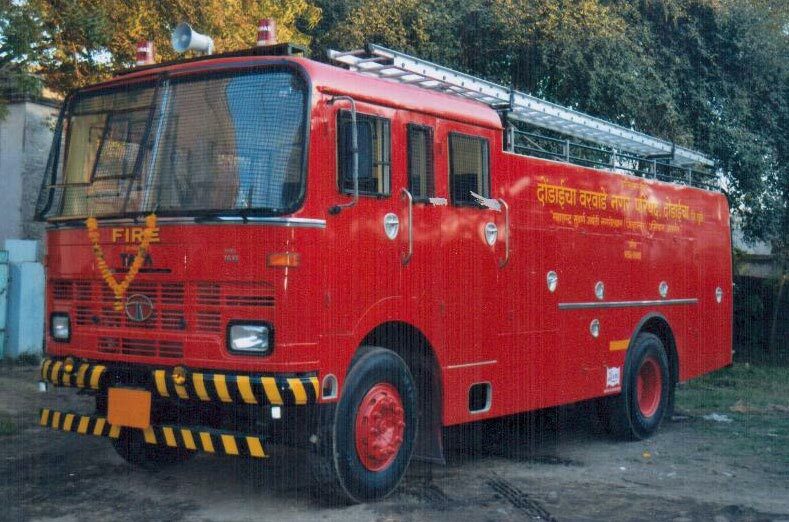 The company is engaged in the manufacturing and supplying of Multi Purpose Firefighter Truck. Our Multi Purpose Firefighter Truck is fitted with the finest quality components, which enhance its functions. Our Multi Purpose Firefighter Truck is appreciated in the market due to its high strength, high storage power, energy efficiency and affordable prices. Foam 500-1000 ltrs. CO2 (4 x22.5Kg) an DCP (4x75Kg /1x250 Kg) is fitted with a 2250-3200 LPM normal pressure/Multi pressure pump and normal pressure/Multi pressure hose reel system. Lockers : Sufficient storage lockers on each side of the fire fighter for storage of equipments. locker covers is shutters/doors types. Accessories : Fire bell, revolving light, Search Light, Hose Reel/ High pressure Hose Reel with jet gun, Siren with public address system CO2 Hose reel and DCP hose reel with nozzle, 10.5 mtr Aluminium Extension Ladder.